“You should take Latin.” I have bombarded every student on every campus I have ever taught at with this phrase. So much so that normally students see me coming and instead of running away turn to meet me and see how long it takes for me to turn any conversation into an apologia for the Latin language. They think they are impervious to my wiles. They think they wont be the ones to give in. But they are wrong. Eventually many relent. Ultimately it’s the one who put up the biggest fight up front that tap out first. But what is my secret? How do I persuade? What follows is a written form of my most common tactics to the common accusations that Latin is useless because it is a dead language. Oh, by the way, Latin is in fact a dead language. Listen to me, fellow Latin teachers. Don’t go down the road of trying to make it a spoken language again. Doing so is tedious and eviscerates Latin of one of its prime benefits. My answer: You know what else is useless? Exercise. You go to a gym, lift weights repeatedly for no reason. At the end of the workout, you put the weights exactly where you got them. No work has been done. You didn’t load a truck or build a wall. You DID nothing. When you run, you get on a tread mill or follow a path and ultimately end up exactly where you started. You didn’t go on a journey. You WENT nowhere. So why did you do it? Because you valued training your body even when you accomplish no other visible work besides. The fact that Latin is dead and not-spoken is an advantage. Spoken languages place a high priority on speaking quickly and simply. READING a dead language enable the focus to be on reading deeply sentences of increasing levels of complexity. A 3rd semester Spanish student is still having basic conversation. A 3rd semester Latin student is reading one of the classics of Western Literature like Vergil’s Aeneid. So you should take Latin, for a lot of reasons, but start with because Latin will train your brain to absorb, organize, and assimilate massive amounts of information as well as to perform multiple simultaneous calculations. In short, you should totally take Latin. It’s good for the brain…and the soul. Great advice! I have always told my students that learning Latin will help them in every other subject, but never considered the ‘train your brain’ approach. Sounds like a great idea. Thanks! Great that you are drawing so many reluctant sheep into the fold! I think everyone who has taken Latin is always glad, at least in retrospect, that they did so. I don’t think it’s necessary to make conversational Latin a major part of the classroom. If students wish to pursue conversational Latin there are a number of conventicula available to them in the US and abroad. But SPOKEN Latin should be a part of every classroom. Latin is in fact a language, and languages are learnt primarily through listening and speaking, and also through reading and writing. By not giving the students an opportunity to hear and pronounce Latin regularly we deprive them of two tools they can use to master the language. Lots of people learn better by hearing. I always tell my students to read their flashcards out loud for maximum learning benefit, and they are expected to hear and understand basic requests and respond to them in the classroom. I don’t know about Spanish, but by my 3rd semester of college German we were reading poetry, literature and newspapers. The argument that the act of learning Latin is supposed to prepare ones brain for other feats of learning is probably true, but this added benefit is not peculiar to Latin alone. It seems that the act of learning just about any complex language or math or theory or whatever is going to make your brain stronger because it encourages the creation of new nets of neuron connections. Learning Latin will however prepare the brain for learning other Romance languages, or even just inflected languages. Many aspects of a culture are embedded in language. For anyone interested in examining the world and legacy of the Romans, that alone seems to be a pretty good reason to learn Latin! This is one of the strongest arguments I’ve read for the study of the Immortal Language; one point sticks out to me, though. I don’t necessarily agree with the idea that Latin should not be spoken at all. 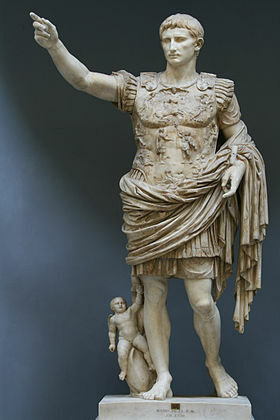 In my experience, though, spoken Latin as a part of the discipline usually comes after the establishment of students’ ability to read; once a student has mastered grammar and syntax and has had exposure to the works of the great ancients, then they are ready to enter the step of speaking or composing the language for themselves. Textbooks like Latin for the New Millennium incorporate ideas about Latin as a language that can be spoken without detracting from the foundational idea that Latin should first be read. Certainly the frivolous conversation that accompanies the other languages’ cores is less important than the epics and meaning of early Latin studies, but conversing once that foundation has been laid seems like more of an extension of the education than a supplanting of it. I think you make a good point. As a student, I did not begin using conversational Latin to any major degree until after 2 years of University Latin. A few of us accompanied our Latin professor to the Conventiculum Latinum at the University of Kentucky. There, we learned to converse about texts and also to use our Latin to talk about things like art, and weather, and animals, and cooking. My Latin improved tenfold from incorporating the spoken component. I could read faster than ever before, and I had a deeper understanding of the nuances of words and phrases, and I also had motivation to learn a wider variety of vocabulary (and not just those silly words like the name for “hot pants” and “photocopier” as recently publicized in the news when the Pope began tweeting in Latin—although of course I learned those words too!). I haven’t seen Latin for the New Millennium and I’m eager to see how it’s put together. The reason I said, in my previous comment, that conversational Latin does not need to be incorporated into the 1st year is that it really is difficult to do it with most traditional textbooks. You basically end up giving them extra work. Hence I only dabble in conversation with my students. Yes! I especially like what you said about the speaking aspect. I took several semesters of Latin in college and now teach it (among other subjects) for a Classically-oriented home-school group, and I’ve found it’s the parents who are more anxious about Latin homework than the kids. They are especially concerned about pronunciation, and I field lots of calls about macrons and such, but I encourage them, “Just copy how I say the words and stop worrying! Review the pars of speech and memorize your vocabulary!” In the long run, most of them are going to forget which principle part gives you the subjunctive and what the difference between prep+ablative or prep+accusative actually means, but their ability to study and memorize (and a little history of Western/Roman Civ) is going to stay with them forever. I’m trying to convince my mom to learn Latin and told her it’s like sudoku puzzles for the alphabet, since the bench pressing analogy wouldn’t mean as much to her. Why the attack on conversational Latin? I’ve found that practicing speaking the language is neither tedious nor distracting. If it was good enough for Erasmus, it’s good enough for me. Your argument for Latin is not very strong per se. If the main benefit (or one of the main benefits) of studying Latin is to exercise your brain, then studying any number of complex fields could exercise your brain. What makes Latin special? You’ve got to answer those who don’t believe in the value of Latin and want it thrown out of the educational system. Arguing that the main benefit of Latin is for exercising your brain isn’t a strong argument for Latin per se because any number of studies could exercise the brain. I’m not arguing the value of learning latin. That I get. But what I do question is how learning latin could be superior to other mental exercises for “building mental muscle and intellectual stamina.” My understanding is that most any mental exercise does the same (learning calculus, crossword puzzles, etc.). Math professors sometimes use the same argument when students question the value of math. But then, I’m currently trying to solve a big problem at work and all it’s doing is making me tired!